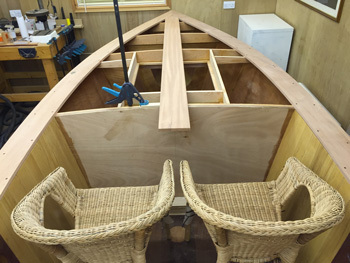 This shot shows the outer deck boards all in place and the king plank laid in for effect. 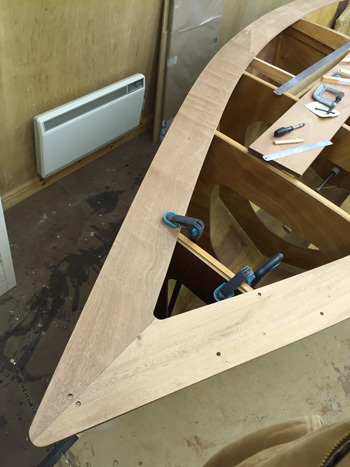 This shot shows the board joint detail in the stem area and also the forward scarf joint. 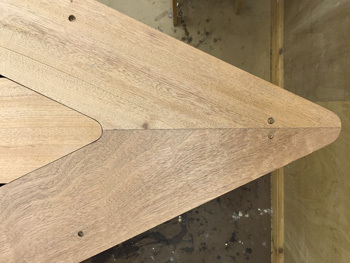 This shot shows the board joint detail in the stem area with the king plank. 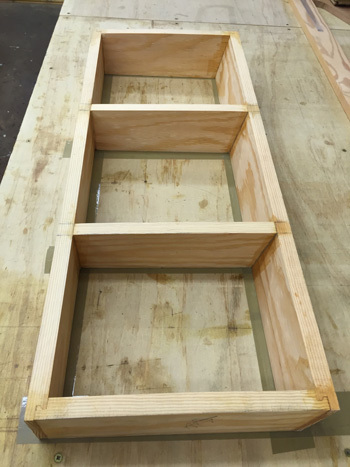 It will need routering to add the sikaflex joint detail. 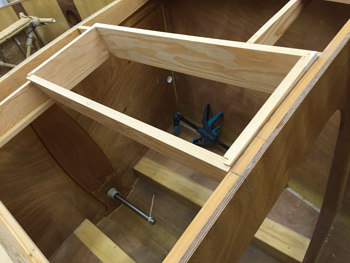 This shot shows the forward hatch frame prior to trimming to the deck profile. And here after trimming. 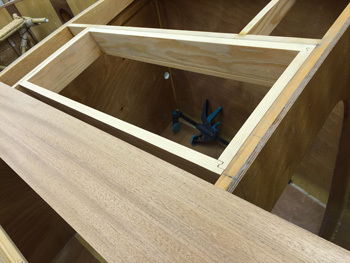 It's not perfect on the centre line of the boat due to the need to angle the centre beam to avoid a clash with the other side when opening the hatch. I've also added some reinforcing beams to give stiffness and stability as well as help give the deck the correct profile when it's screwed down.